Leoni Outdoor is a stunning new collection for 2017. This eye-catching impressive new collection oozes luxury and design. The Leoni collection is made from powder-coated aluminum which makes this modular furniture durable, strong and designed to survive all weather conditions. The luxurious cushions are made from top quality, washable Sunbrella Water Resistant material, adding both comfort and style. 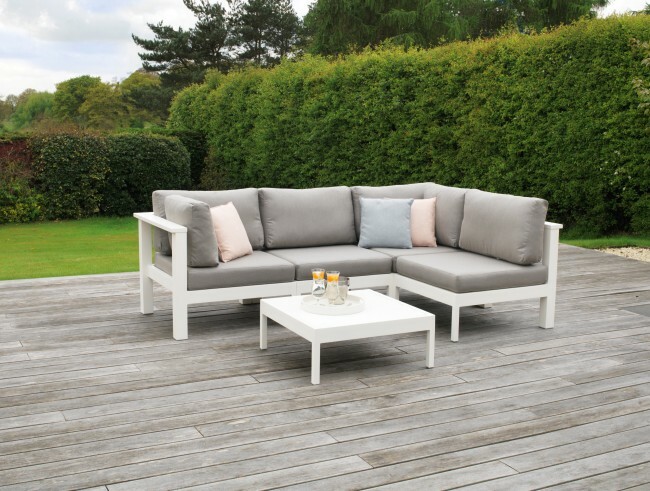 The Leoni collection features a corner and a middle module allowing you to create the perfect configuration for your outdoor space. 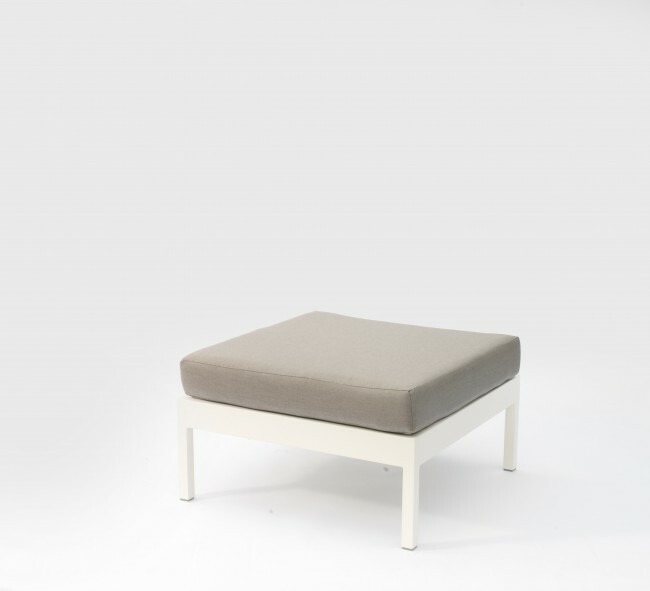 Available with either white or soft grey powder-coated frames you can chose from a beautiful array of Sunbrella fabrics for the cushions. 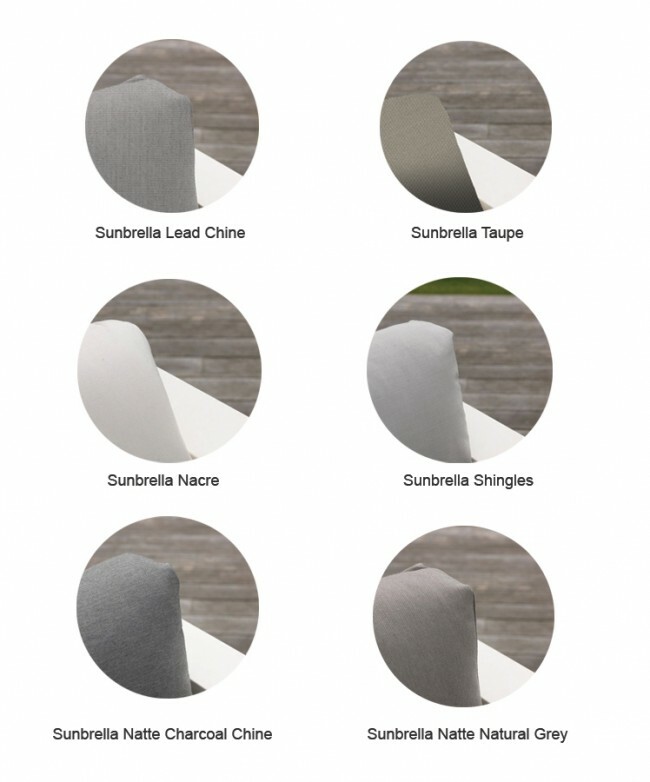 Alternatively, please call to order if you prefer a different colour Sunbrella material. Please note that there may be a surcharge.